Keeping your cool in Dubai can be rather daunting in summer temperatures of over 40 C or 104 F. Emicool air conditioning (district cooling) helps. 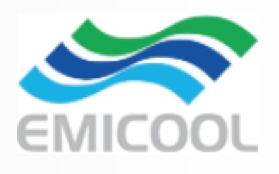 Motor City‘s air conditioning (district cooling) service is operated by Emicool. Their offices are, luckily, only a few blocks away. You need to take a left at the end of the main shopping street (just after the U-turn for Spinneys) into Honsho Street. Take the next right into Detroit Street and on your right hand side you will see a large Emicool building (light yellow). Just past this there is a smaller building – don’t take the next slip road right but just after that there is an entrance into a fenced car parking area. Drive through this entrance and you will see Emicool’s office on your right hand side. Parking is free. This is a small office with only 3 or 4 customer service people working there. You will need your signed tenancy contract (take along your Ejari certificate just in case), your passport and visa copy, the Title Deed, the owner’s passport and visa copy and the security deposit to allow Emicool to connect you. There is a returnable deposit of AED 1,500 in the case of a studio or one bedroom apartment and AED 2,000 for a 2 or 3 bedroom apartment. The deposit rises to AED 3,000 for a townhouse, bungalow, family or luxury villa and for retail units AED 5,000. So make sure you take this into account when you are calculating your budget. There is a ticket machine on the left hand side just inside the entrance door. Take the required ticket and take a seat. One of the Emicool staff will call you or keep an eye on the ticket screen. You will be asked for the documents. They are good to work with and very helpful. If you explain your situation they will advise on the best course of action, the correct forms to complete and documents required. As the Emicool offices are only a few minutes from the centre of Motor City then it’s not such a big deal if you’ve forgotten something! If everything is in order they will print out a rather large 4 page contract which needs to be signed by the landlord and the tenant. Yet another reason to have the landlord’s details provided to you at the time of signing the tenancy contract. Usually, the air conditioning is connected within a few hours and you’re good to go. Remember you need your DEWA connection to power the air conditioning system. The accounts are sent on a monthly basis by email and must be paid within about 14 days so keep this in mind when you’re budgeting. Payment is relatively easy if you live in Motor City as there is a payment machine in Spinneys on the main stretch as well as in the Emicool offices. You can also make payment through Emicool’s online payment service but you must register first. Make sure the air conditioning in the property has been maintained, if not, either ask the landlord to do this (sometimes – usually the better landlords – have maintenance contracts in place). The filters and vents should be cleaned on an annual basis. Are you an Emicool client? What do you think of their service? Is there anything you would like to add to this information to help others living in the wonderful city of Dubai? Emicool also provides air conditioning to the Dubai Investment Park – DIP – as well as The Green Community but we’ll add information about these areas in later guides.